One question we get all the time from patients in the Encino and Lake Balboa area is about their own insurance, especially those wondering exactly what their insurance covers. 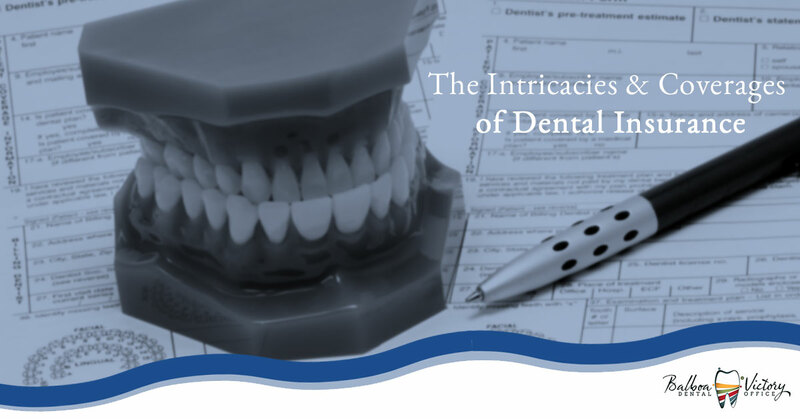 In today’s blog, our staff will teach you a few of the must-know things to read and consider about your current dental insurance policy, plus what to look for in any new coverage. There are a few things you really should know about your plan before you schedule your family’s first appointment under the coverage. Today, we’ll review these key areas and give you some helpful advice that we’ve picked up along the way. You’ve likely heard of “in-network” and “out-of-network” from health insurance providers, but in the event that you’re unsure what this network nonsense is all about, here’s what insurance providers generally mean by “network”: In-network providers are basically any local or nationwide providers that have an active contract with your insurance provider, while out-of-network providers simply do not. This is important because most dental insurance plans are known as “PPO” plans – which simply stands for Preferred Provider Organization – meaning that you are highly incentivized under the plan to use an in-network provider. So, what does this mean for you? Well, as you begin your search for a dentist for your family or make the switch to a new dental insurance provider, you’ll want to double check with both the provider and the office’s staff to see if the provider is in-network. Once you know your provider is in-network, you should be safe to see them now and in the future, although double-checking before scheduling follow-up appointments never hurts. 100% – This is often only reserved for preventive appointments, which typically means examinations every 6 months, x-rays as needed, and hygienist cleanings. Most plans do not extend 100% coverage to any procedures beyond these three. 80% – Your 80% coverage is the most common and minor dental procedures, including fillings, root canal therapy, and minor gum treatments. Some plans include other, more major services in this bracket, but not often. 50% – Insurance providers often cover half of the bill for major procedures, like crowns, implants, dentures, extractions, etc. This is often frustrating to patients that are used to paying a low amount for fillings, which are relatively inexpensive already and covered at 80% most often, especially when the bill for a major procedure is much higher. Before you undergo a dental procedure, it is always a good idea to contact your insurance provider or broker directly to inquire about specific service costs at a given office, what percentage your coverage will offer, and what your out-of-pocket costs will be. Many people get confused here, as the terminology differs between health and dental insurance. While your health insurance deductible is usually used to describe the minimum out-of-pocket cost you much reach across numerous procedures to receive your insurance benefit, a dental insurance deductible is the amount that must be paid out-of-pocket at the time of service to receive your dental insurance benefit – which is often called a copay in health insurance. Most dental insurance deductibles are $50 or $100 per visit, although other amounts are possible with an alteration in your monthly premium. Note: Most plans rely on a deductible on a per-visit basis, not based upon individual services, so layering multiple procedures into a single appointment is often advised. Another major difference between health insurance and dental insurance is the use of the term “maximum.” While health insurance providers often refer to an out-of-pocket maximum as the highest amount you could possibly pay for health insurance services in a calendar year, the coverage maximum on a dental insurance plan is basically the opposite: The maximum your insurance provider will pay in a calendar year. This is an important distinction if you have more than one major procedure to get out of the way in a single year, as your insurance will leave you with any remaining bill balance that goes above your maximum coverage. Often, these amounts are either $1,500 or $3,000 per calendar year, depending on your monthly premium. For families: Make sure that you inquire with your insurance provider on how the total maximum coverage for multiple family members is calculated; often, each member of the family has their own coverage maximum amount, although it is possible to have a pooled coverage amount, a single coverage maximum for the entire family to share, and more. If you ultimately decide to enroll yourself or your entire family under a dental insurance policy, the most important thing is that you use it. Typically, the greatest benefit to a dental insurance policy comes from the ability to take advantage of free diagnostic and cleaning appointments, often twice per year. These appointments are the best way to prevent more expensive treatments, the same treatments that aren’t covered at 100%. This logic basically applies right on down the 100-80-50 tree; if your dentist recommends a filling, that will cost less than the crown you may need in a year if you choose to ignore the issue, while the crown will cost less still than the extraction and implant you may need the year after. So, above all, when using your dental insurance, be sure to follow your dentist’s treatment plan whenever possible, as it will surely be what is best for your mouth, teeth, and even your wallet. Another interesting thing to consider with your dental coverage is the structure of the calendar year. For instance, most dental insurance providers will cover a one-time benefit to children and teens for braces from an orthodontist, but with this being a one-time in a lifetime benefit, it can be used that the beginning, in the middle, or at the final billing of their orthodontic care. Why does this matter? Well, you can wait until you’re certain that you won’t need your coverage maximum for that calendar year for other procedures before committing those insurance funds to the orthodontist; likewise, it is a common practice to schedule major procedures for just after a refresh in an individual’s insurance coverage, whenever possible and best for the patient. Get in touch with the friendly staff at Balboa Victory Dental for assistance with your insurance coverage. Our team is well-versed in all major insurance providers, as well as the ins-and-outs of policy coverage restrictions. If you ever have any questions about your insurance coverage, feel free to leverage our team as a resource. We are proud to accept many of the major insurance companies, as well as many local providers that are specific to Encino and Lake Balboa patients, so we will likely be able to accept your insurance here. If not, we’ll happily help you find a dentist that can treat you and your family for the most affordable costs possible.